Work has been hectic as of late, and I’m also in the midst of preparing for Dragon*Con. 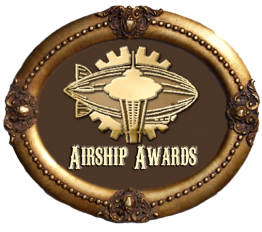 I don’t have as much new stuff planned out for this week as I had hoped, but have you checked out my essay series about multiculturalism in steampunk yet? And see the links below for more good things to read/watch/run in the streets shouting about. This weekend I’ll be at Wicked Faire (where will YOU be?) and so here is another edition of Odds & Ends to keep you occupied in the meantime.